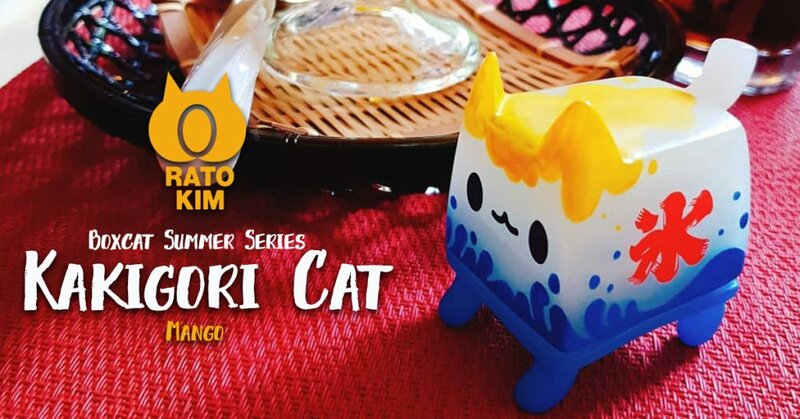 Summer is in the air and what better way to indulge into some Kakigōri (Japanese shaved ice dessert flavoured with syrup and a sweetener, often condensed milk) Inspired by a trip to Hiroshima Japan, Rato Kim transforms her Boxcat into Kakigori Cat – Mango as a part of the Summer series and now offering you the chance to own one! Brain FREEZE. One piece per person. You have to pay in the name of the winner. Please do not try to use multiple names, or you’ll be banned.